'Bout ye from Tee and Toast! We’re a friendly, independent T-shirt company based in sometimes sunny Belfast. With the help of many a cup of tea, designer and illustrator Claire Mullan makes unique tees and things that will make you smile. We make funky T-shirts for grown ups, happy T-shirts for kids and super silly things for the home – and they all started off as a wee doodle. We love owls, foxes, dinosaurs, robots, rainbows, mushrooms and gnomes... and of course at Tee and Toast we are obsessed with all things to do with a good brew! So pop the kettle on and get cosy to have a good nosey. We hope you find the perfect goodies and gifts that will make you laugh and smile. In 2004 Claire inherited a heat transfer T-shirt press from her uncle Joe the fisherman, along with a stack of vintage transfers. Inspired by the retro awesomeness, she started making tees for her family and friends. It was then that an idea started brewing that it was possible to live the dream of owning and running a creative T-shirt company that loves bright colours, silly doodles and punny sayings! 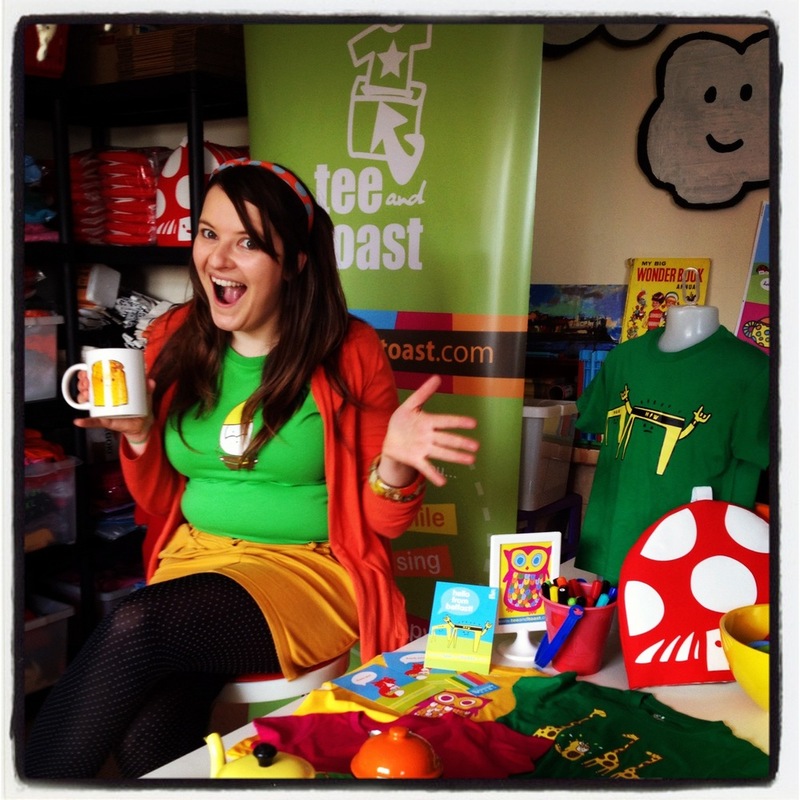 Eventually a hobby became a full-time job and Tee and Toast was launched in April 2005. We'd like to shout out a big thanks to our super-duper family, friends and the Prince’s Trust – who helped us get started.